Creepy, right? 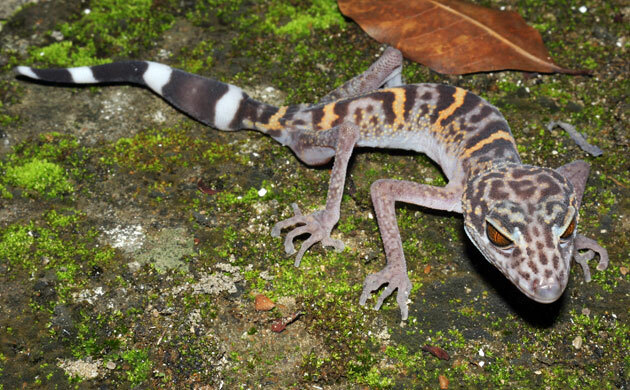 It's a leopard spotted/striped gecko, commonly found along the banks of the Mekong River. Have any of you seen this type of gecko before in Thailand, Laos or anywhere else in Southeast Asia, for that matter? I don't mind cicaks and tokeks that much, but I'm not sure how I'd feel having these leopard geckos crawling around the walls of my house! Did you see his eyes?? They are like a cat/snake combo?!?! Strange!